Angolan President, José Eduardo dos Santos to step down after 38 years in power ! After 38 years in power in which he led Angola through civil war and an oil-fuelled boom, President José Eduardo dos Santos will step down at the general elections this week. 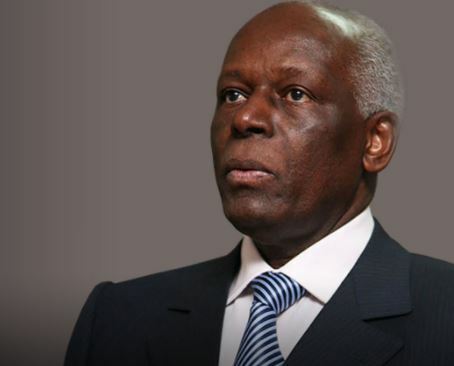 74 year old Santos has been president of Angola since September 1979 making him Africa’s third-longest serving leader. Getting a replacement marks a great occasion for a country where most people have known no other president. But critics however say with his children in prominent positions in Angola, and the incoming president’s powers weakened, Dos Santos is unlikely to be out of the picture. The outgoing president willl be leaving his daughter, Isabel, thought to be Africa’s richest woman, in charge of Sonangol, the state oil company that has dominated the economy for decades, and a son, Jose Filomeno, chairing the country’s $5bn sovereign wealth fund. Just a month before the election, Angola’s parliament passed a law that prohibits the new president from sacking the heads of the army, police and intelligence services for eight years. Lawmakers also granted Dos Santos a seat on the Council of the Republic which gives him immunity from prosecution.